Daily Trojan, Vol. 30, No. 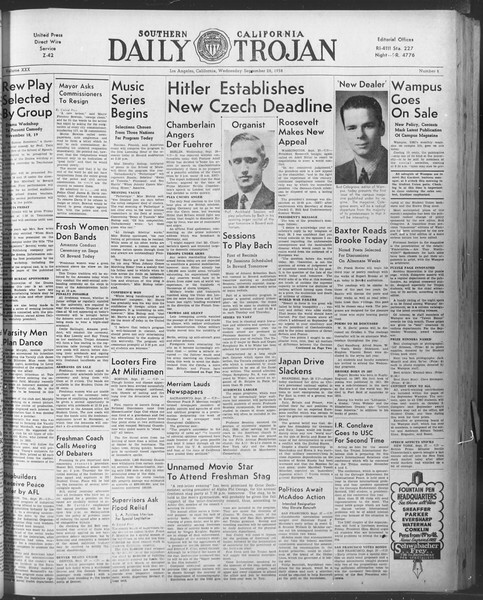 8, September 28, 1938.